Howdy! 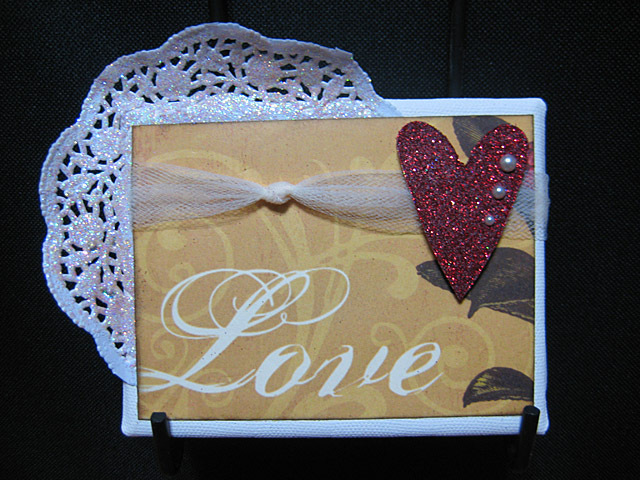 I’m up over on the Art Glitter blog today with a how-to create this glittery little Valentine’s Day canvas. It is super quick-n-easy and makes a cute little shelf-sitter. Jump on over and take a look! So much glitter just makes me happy. 🙂 I love the heart and doily all sparkled up. No mistaking the reason for this beautiful canvas with the nice big sentiment. Perfect!